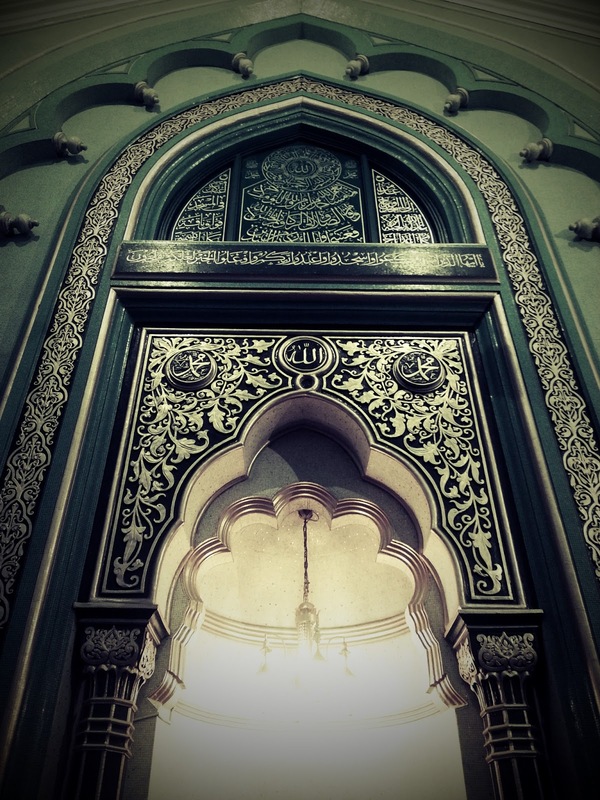 Islam describes God as a Perfect Being, possessing every excellence. The opening verse of the Holy Quran states: "All praise is due to Allah, the Creator and Sustainer of all the worlds." As God has created all things, and all things depend on Him for their sustenance, He alone deserves all praise for the beauties and excellences to be found in different things, for all these beauties and excellences are derived from God. God has been called 'Rahman' in the Holy Quran, i.e. God has, out of His pure Grace and Bounty, created all those things the need of which was to be felt by man; for instance, parents to care for him, light and air, fire and water, different kinds of food and medicines, timber, iron, stone, etc. In fact, man cannot possibly feel any need which has not been met and provided for even before his birth! All this has been done under God's attribute of 'Rahmaniyyat'. God has also been called 'Rahim' in the Holy Quran, that is to say, He rewards all labour and effort according to its quality and merit. Man's effort is never wasted, and he is ever rewarded in true proportion to his merit. He is called 'Malik-i-Yawm-id-Din', He is the Master of the Day of Judgement. In other words, apart from the operation of the laws of Nature, and the rewards or punishments which are meted out in this world, He has fixed the limits of every action, and as soon as those limits are reached, final judgement is passed on each action whereby the good are rewarded, and the evil ones are punished - subject always to this, that under His attribute of 'Malikiyyat' it is always open to Him to forgive and to remit the punishment. 19th April 2003 is an important day in the annals of Jamaat-e-Ahmadiyya (Qadian), for it marked the end of an era and the formal beginning of another, within the larger concept and actual working of the system of spiritual succession or ‘Khilafat’ among the Ahmadis. 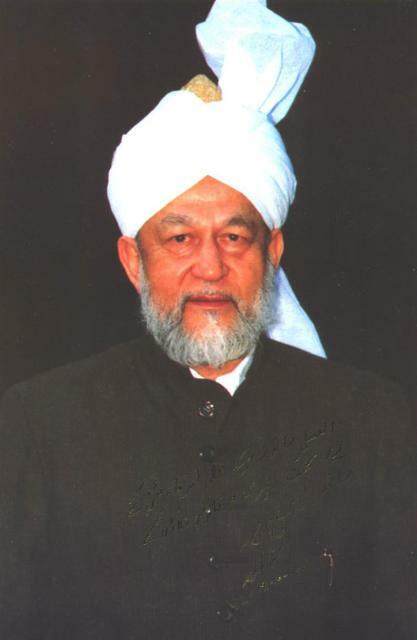 Many Ahmadis today can relate that day with the death of the fourth Caliph, Hazrat Mirza Tahir Ahmad Saheb (May Allah forgive him). Some also relate the day with the formal inaugural of a new system of ‘Khilafat’ among the Ahmadis, a Divine Manifestation in our era, with an Elect of God accepting Bai’at at his hands. 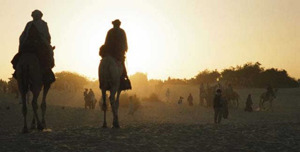 Indeed one of the questions that deeply divide devout Ahmadis today relate to the events of 19 April 2003, its meanings, interpretations and implications. 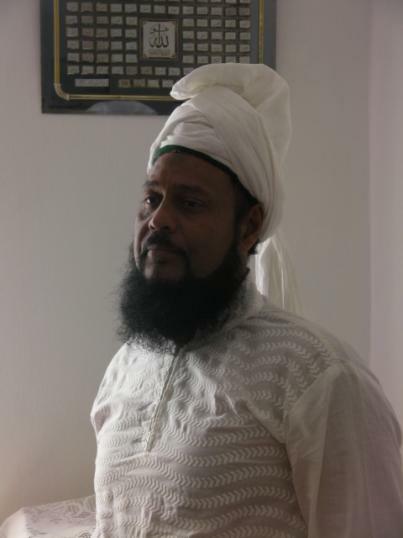 As is well known, it was in the final years of the caliphate of Hazrat Mirza Tahir Ahmad Saheb that a pious Ahmadi in Mauritius, Hazrat Munir Ahmad Azim Saheb (atba), began to make the extraordinary claim that Allah (swt) has raised him, as His Elect of this era, to invite people to God and to strengthen Jamaat-e-Ahmadiyya by sharing the Divine revelations and spiritual verities being vouchsafed to him, with the assistance of Rooh-il-Quddus. It is also a matter of historic record and Divine destiny that the fourth Caliph thought highly of the noble qualities and preaching attainments of the future Divine Elect when he was still working as a missionary ambassador of the Jamaat-e-Ahmadiyya into the various communities and nations of the Indian Ocean Region. 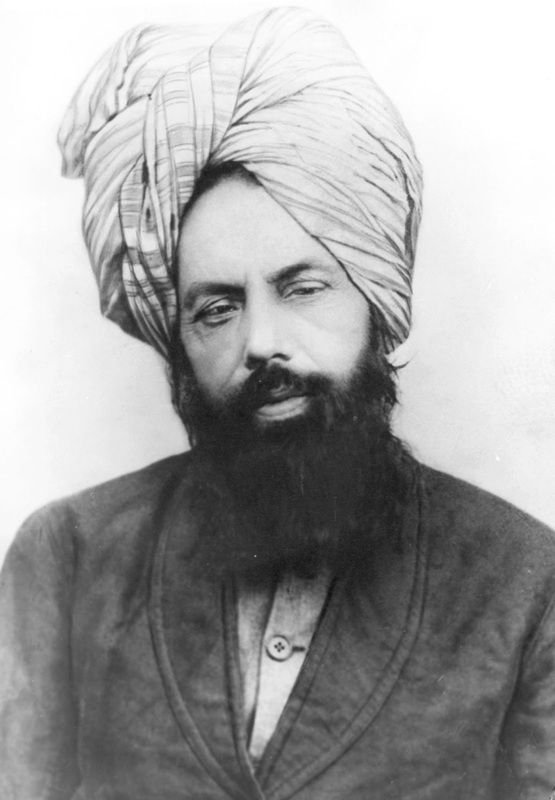 Yet, when the saintly figure was reported to have made the claims of being a recipient of Divine revelations, under misleading circumstances, he was expelled from the Nizam-e-Jamaat-e-Ahmadiyya, and social boycott was administratively enforced on those who preferred faith above the world. It is instructive to note the great guidance of the Promised Massih (as) on the course of action to be initiated with regard to the continuity of Jamaat functions in times of vacuum in leadership after him. Devout Ahmadis are to remain united under an elected leader till the time “when someone inspired by God with the Holy Spirit is raised by Him” . God Almighty desires to draw all those who live in various habitations of the world, be it Europe or Asia, and who have virtuous nature, to the Unity of God and unite His servants under one Faith. This indeed is the purpose of God for which I have been sent to the world. You, too, therefore should pursue this end, but with kindness, moral probity and fervent prayers. And till that time when someone inspired by God with the Holy Spirit is raised by Him, all of you should work in harmony with one another…. 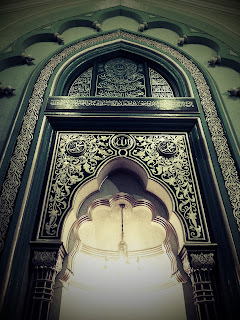 With the death and departure of the fourth Caliph on 2003 April 19, devout Ahmadis in Mauritius assembled around Hazrat Munir Ahmad Azim Saheb (atba), the recipient of Divine revelations as well as several, Divinely-bestowed, sublime spiritual titles such as ‘Hazrat’, ‘Amirul Mu’minen’, ‘Qamaran Munira’, etc. First Bai’at in the HAND OF ALLAH (represented by the Messenger of Allah Munir A. Azim (atba)): In Quatre-Bornes (Mauritius), House of the Ummul Mumineen Sadr Sahiba Fazli Amena on 19 April 2003, the day on which the 4th Khalifatul-Massih Hazrat Mirza Tahir Ahmad died in London (UK). It was on the second storey of the house, on Saturday 19 April 2003; after Maghrib & Esha prayers in congregation, (Reference Book/ Magazine on the Life of the Messenger of Allah: The Light-Giving Moon, 2016). Divine Revelation, What Is It? It should be kept well in mind that revelation does not mean that an idea should arise in the mind of a person who sets himself to ponder over a thing as, for instance, a poet having thought out half a verse seeks the other half in his mind and his mind suggests the other half. This is not revelation but is the result of reflection, in accordance with the law of nature. When a person reflects upon something good or bad, a corresponding idea arises in his mind. For instance, one person who is pious and truthful composes verses in support of truth, and another one, who is wicked and vicious, supports falsehood in his verses and abuses the righteous. So, if the arising of an idea in the mind should be accounted as revelation, a vile poet who is the enemy of truth and of the righteous and writes in opposition to the truth and has recourse to imposture, would be called a recipient of divine revelation. Many novels are written in excellent style and set forth altogether false but continuous well arranged tales. Then would these stories be designated as revelation? If revelation were to mean merely an idea arising in one’s mind, a thief would also be called a recipient of revelation, for an expert thief often thinks out surprising ways of theft and robbery, and many clever plans of robbery and murder pass through his mind. Would all these unclean projects be called revelation? Indeed not. Such is the thinking only of those who are not aware of the true God Who comforts the hearts of His servants with His converse and bestows the understanding of spiritual knowledge upon those who are not familiar with it. It is the living and powerful converse of the Holy and Mighty God with a chosen servant of His, or with one whom He designs to make His elect. When this converse starts in an adequate and satisfactory manner, being altogether free from the darkness of false concepts, and is not composed merely of a few inadequate and meaningless words, and is full of delight and wisdom and grandeur, then it surely is the word of God with which He designs to comfort His servant and to manifest Himself to him. The human heart is the seat of all human emotions. A heart that is full of evil emotions and thoughts is but a favourite place for Satan. Satan takes residence in such a heart and uses it as a control centre to deviate the servant of Allah from the right path. Those hearts that are disbelieving, doubtful and mischief-mongering are, according to the Holy Quran, hearts that have been sealed. 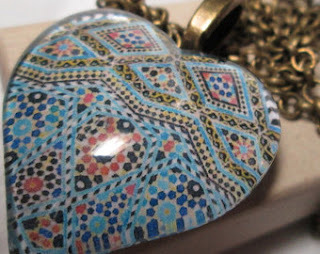 Allah (swt) says in His book: 'Thus do We seal the hearts of transgressors.' (Yunus 10: 75) and: 'I will instil terror into the hearts of those who disbelieve.' (Al-Anfal 8: 13). The Holy Quran makes many such references to the human heart. The Book of Allah proclaims numerous merits of a sound heart, a contended heart full of unbounded love and deep understanding of God and mankind, His creation. 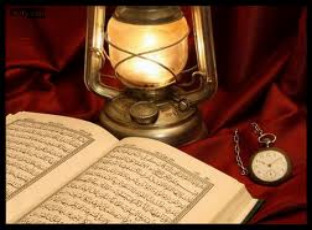 For instance the Holy Quran proclaims: 'Verily, it is in the remembrance of Allah that hearts can find comfort.' (Ar-Rad 13: 29). And Allah admonishes all Muslims that: 'He joined your hearts in love (brotherhood/ friendship)' (Al-Imran 3: 104); and that He: 'put your hearts at rest.' (Al-Imran 3: 127). Scientific research has conclusively proved that there is a vital link between the state of one’s thinking and one’s physical well-being. A healthy heart will undoubtedly keep a mind healthy and vice versa. A person’s character is built on his thoughts, in other words, we are what we think. Allah our merciful Lord through His benevolence has given us the choice and power to govern our thoughts and thereby build a character that is worthy of praise.